Benjamin Landa is an entrepreneur and philanthropist who is known for his support of charitable and religious organizations in both the United States and Israel. Ben is a longtime supporter of the Crohn’s and Colitis Federation of America and he is a supporting founder of the Chabad of Port Washington, N.Y. Additionally, he is one of the leading supporting members of two Brooklyn synagogues. Ben received his formative spiritual influence from his father, Rabbi Yehoshua Boruch Landa, who served as a rabbi in Bishkov, Czechoslovakia before the Holocaust. Rabbi Landa and his wife, Chaya Sarah Landa, immigrated to the United States after the war. They first settled in Newark, N.J., and later moved to Borough Park, Brooklyn. Ben studied in Yeshiva Torah Vodaath and earned his college degree at Adelphi University, in Garden City, N.Y. His entrepreneurial skills launched him into business, particularly nursing homes, early in life and he has been successful ever since. Along with his business partner, Bent Philipson, Ben now runs SentosaCare LLC (“Sentosa”), which is an organization formed to service, guide, and assist affiliated nursing home facilities in fulfilling their commitment to quality health care. 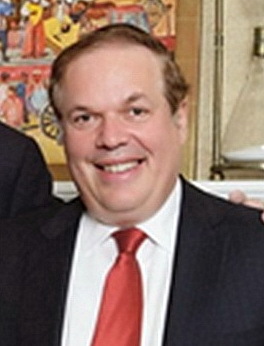 Ben bought his first nursing home in 1987 and from that he and Bent have built Sentosa into the largest nursing home network in the state of New York. Onsite, active care-centered management is a core principal that Ben and Bent instill in every nursing home they own. Sentosa’s facilities nurse thousands of residents 24 hours a day, seven days a week, offering specialized care and both short- and long-term rehabilitation, in addition to a myriad of other skilled nursing services in locations throughout the New York metropolitan area.